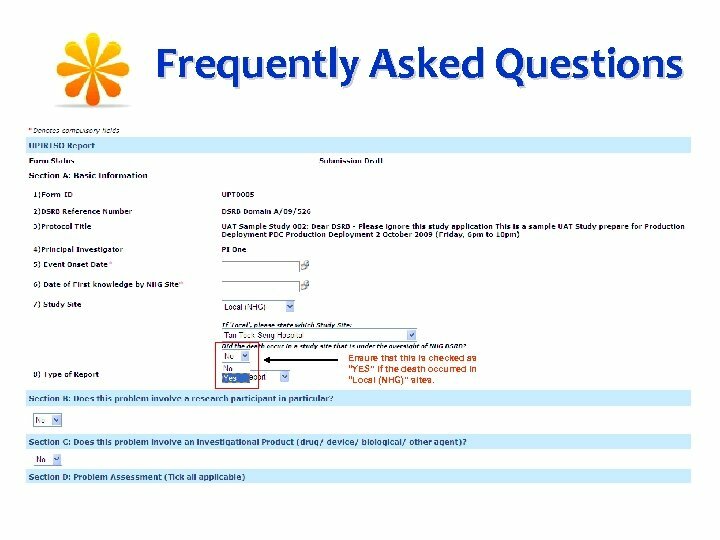 Frequently Asked Questions 1. Our application was submitted just before the submission deadline. However, it was not accepted for the month’s DSRB full board review. Why was this so? The submission deadline for a particular month’s full board review is the first working day of that same month. When the online application form is submitted, it will be forwarded to the Department and Institution representatives (DR & IR) for review and endorsement. 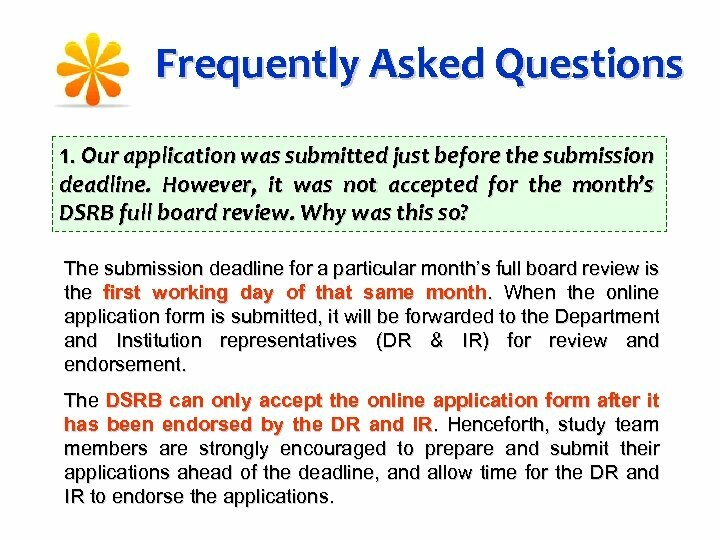 The DSRB can only accept the online application form after it has been endorsed by the DR and IR. Henceforth, study team members are strongly encouraged to prepare and submit their applications ahead of the deadline, and allow time for the DR and IR to endorse the applications. 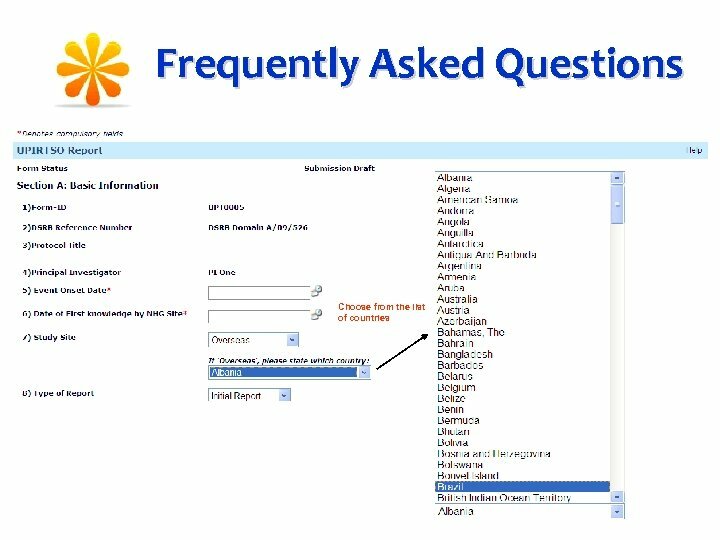 Frequently Asked Questions 2. 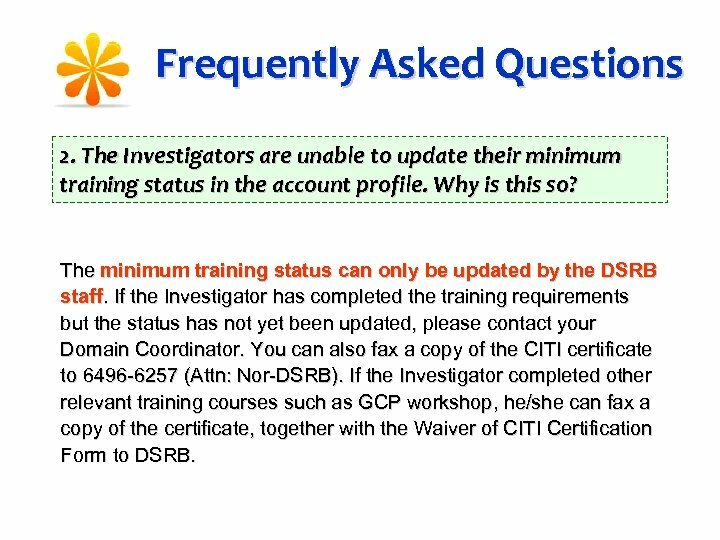 The Investigators are unable to update their minimum training status in the account profile. Why is this so? The minimum training status can only be updated by the DSRB staff. If the Investigator has completed the training requirements but the status has not yet been updated, please contact your Domain Coordinator. You can also fax a copy of the CITI certificate to 6496 -6257 (Attn: Nor-DSRB). 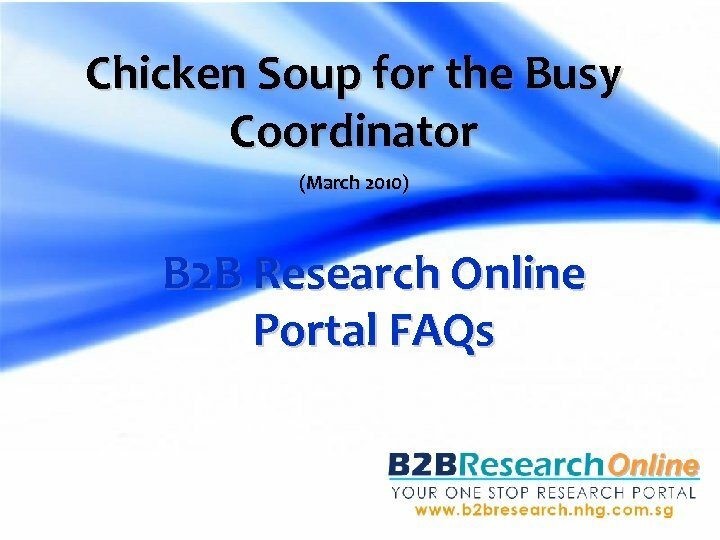 If the Investigator completed other relevant training courses such as GCP workshop, he/she can fax a copy of the certificate, together with the Waiver of CITI Certification Form to DSRB. 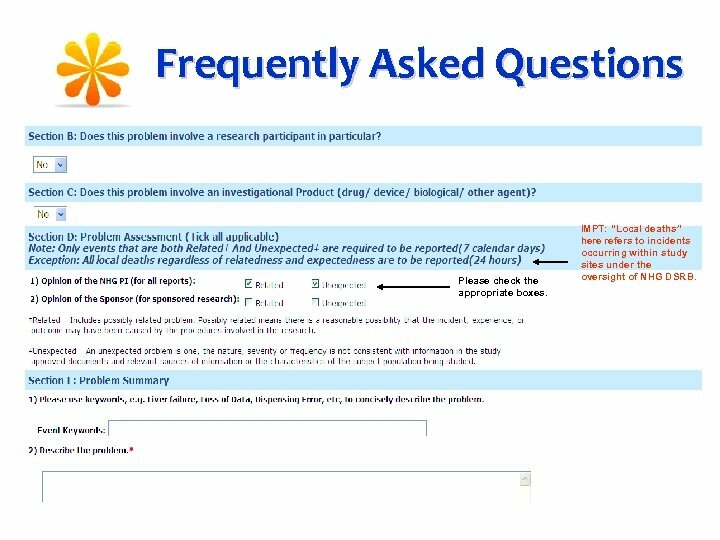 Frequently Asked Questions 3. I have a report on local death in non-NHG site that is unrelated and unexpected. I cannot submit it through UPIRTSo online. Why is this so? 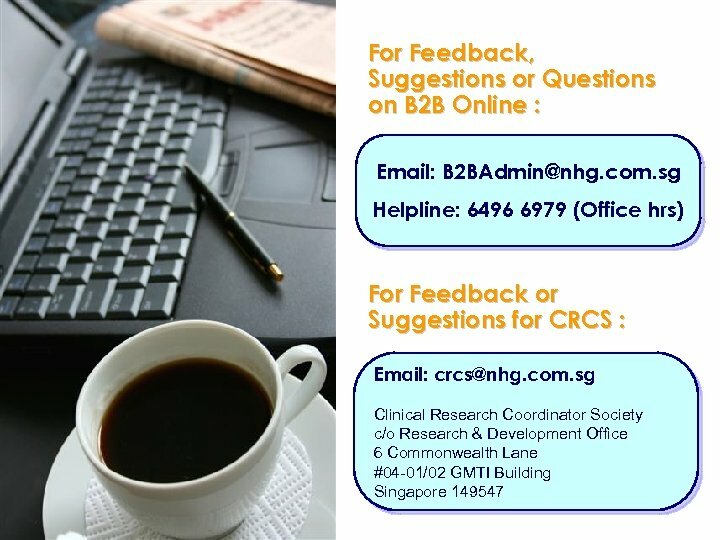 Before submitting the report, please ensure the following criteria are met: Occurrence within Local (NHG) sites Occurrence in non-NHG Local (Singapore) or Overseas Sites • Can be related/unrelated • Must be related • Can be expected/unexpected • Must be unexpected IMPT: Local (NHG) refers to study sites under the oversight of the NHG DSRB. These include all NHG Institutions, NUHS, AH and Lilly-NUS. 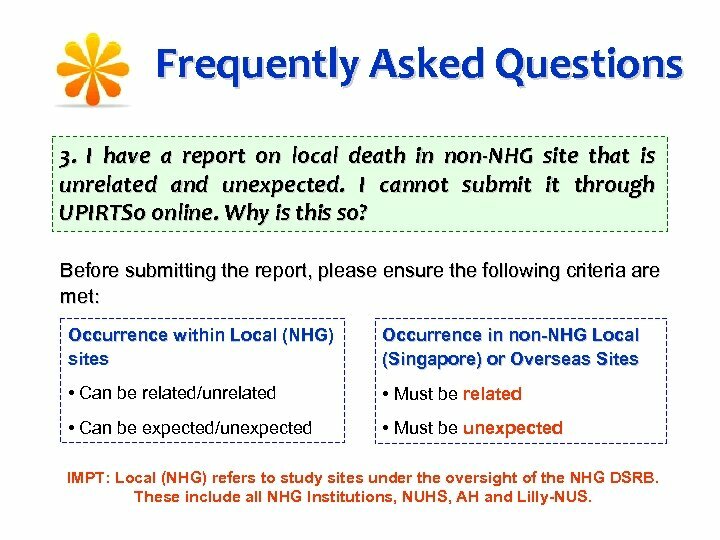 Frequently Asked Questions Ensure that this is checked as “YES” if the death occurred in “Local (NHG)” sites. 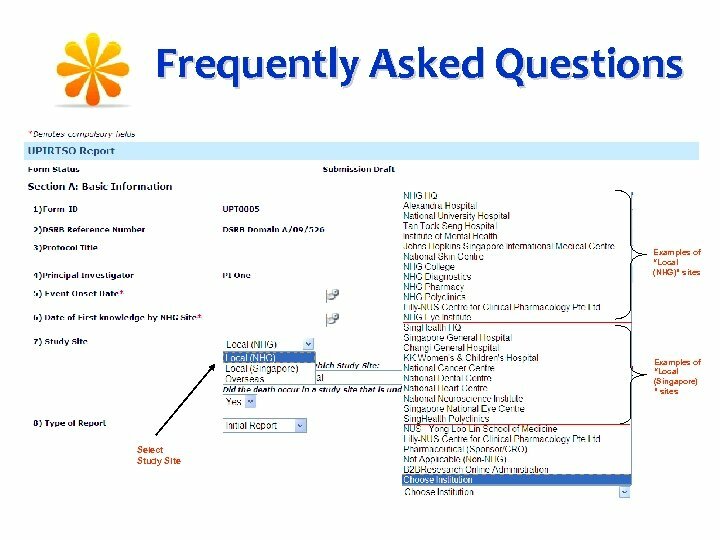 Frequently Asked Questions Please check the appropriate boxes. IMPT: “Local deaths” here refers to incidents occurring within study sites under the oversight of NHG DSRB.